The Cisco TelePresence EX series transforms the workplace by combining work, communications, and collaboration – all on the desktop with just the touch of a finger. Colleagues can instantly work together whether they are separated by a hallway, a street, or several time zones.The Cisco EX series comprises the Cisco TelePresence EX60, at 21.5″, and Cisco TelePresence EX90, at 24″, and supports vivid, lifelike 1080p30 video, natural collaboration, and the simplicity of an 8″ touch screen interface for a complete solution that helps ensure conversations are more productive. 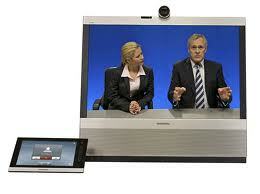 Immediate connectivity to anyone regardless of client, telepresence system, meeting room etc. As the UK’s most experienced integrator of Video Conferencing and Video Collaboration Solutions, and specialists in video network infrastructure, interoperability and multi-vendor video/communication environments, VideoCentric can provide the most indepth unbiased advice, solution design, expert installation and training for all your video conferencing needs. VideoCentric’s years of experience with businesses & organisations across the globe enable us to offer the highest levels of award-winning support, managed & cloud video services, and tailored video collaboration solutions to ensure your business can recognise the true benefits of implementing professional Video Conferencing. 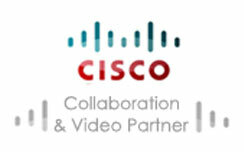 Find out more about VideoCentric and Cisco’s partnership here.